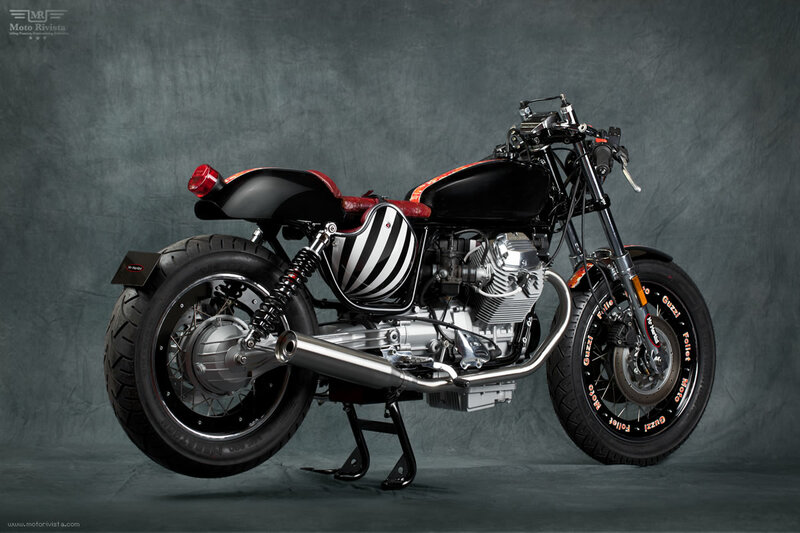 Our custom craving has taken us all the way to Italy, Verona based Mr. Martini (Nicola Martini) has got a classic delicacy for our custom craves a Moto Guzzi Nevada 750 based Cafe Racer. 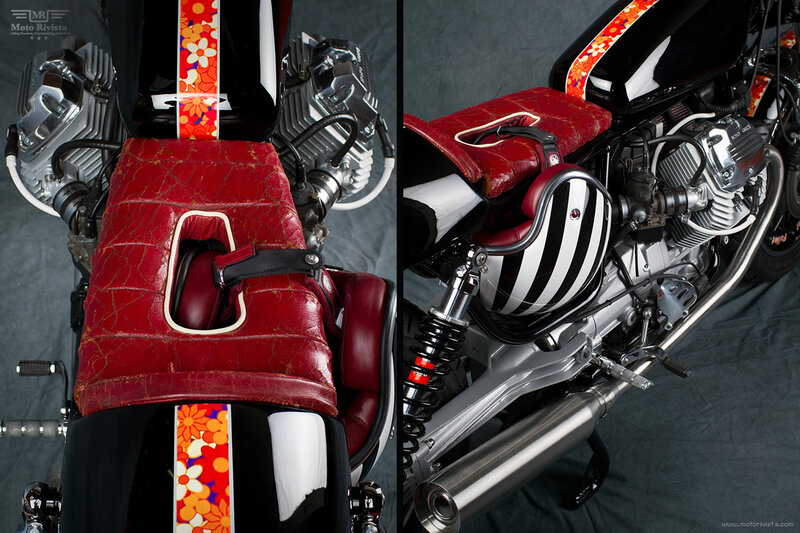 At Moto Rivista we love the work of Mr. Martini, his custom crafted creations have a distinctive style. Not long ago Mr. Martini was introduced again to our readers with his spectacular creation the Ducati Flash Back. 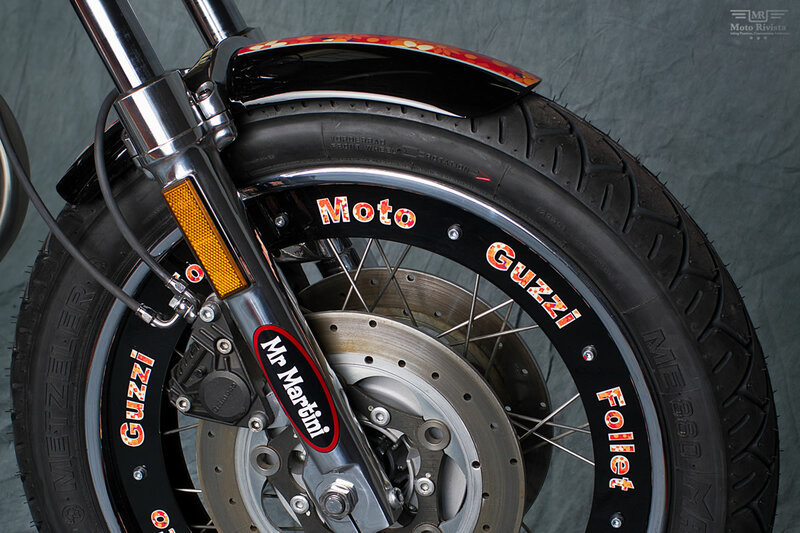 For a long time Mr. Martini had a great desire to work on a Moto Guzzi bike, until 2011 he didn’t have the right opportunity. That all changed when a spark came from a meeting with a Priest who gave his Moto Guzzi Nevada 750. Nicola didn’t lose a minute and quickly got down to transform this classic bike. According to Mr. Martini “The Follet is a small bike, lean and well suited to a female audience, inside its simplicity there’s so many distinctive and interesting features. The brilliant characteristic is the compartment that has been achieved by extending the frame in the rear to accommodate a helmet or if the bike is carrying a woman there is room for her bag. This particular and creative idea is also very functional and has been highly successful. On the black tank there’s flowering line also the front fender and the steel wheel rims are filled with aluminum to give a sense of fullness. 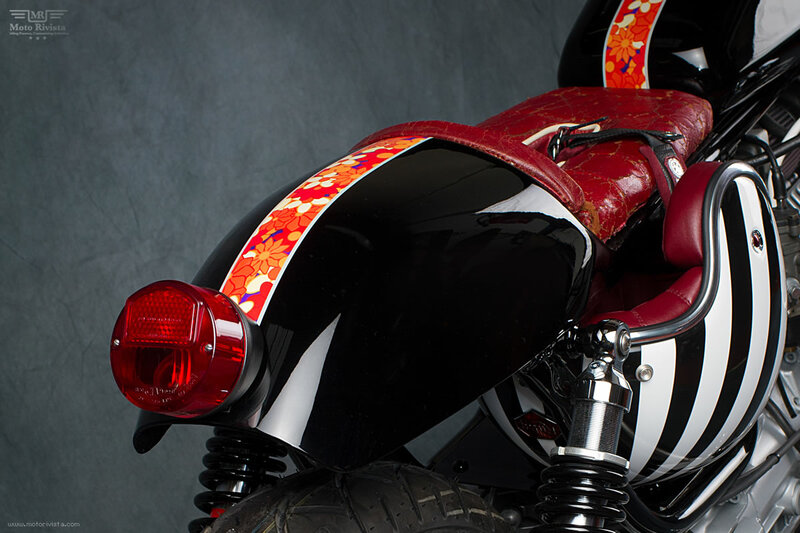 The red leather seat, (comes from a Mg), along with the black color of the bike merges with the whole color scheme of the bike. The mechanical remained almost completely original (Moto Guzzi 744 cc) undergoing only some changes. 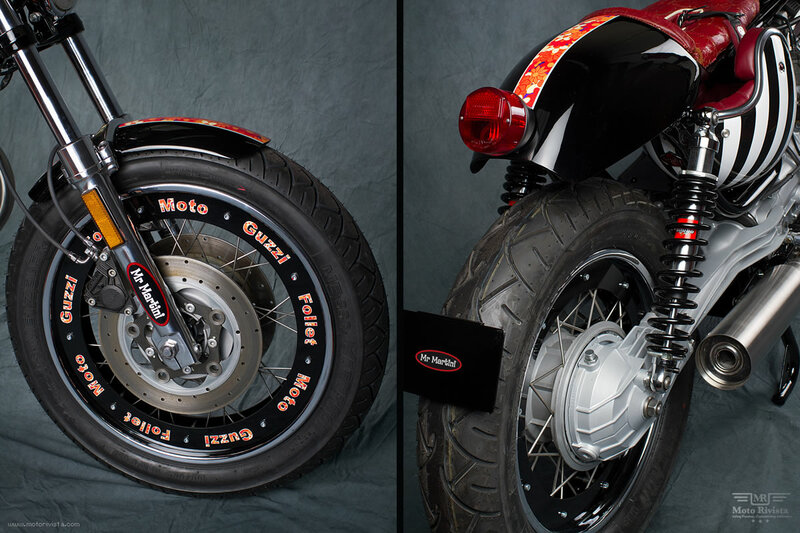 The shark exhaust is a 2 in 2 with short ends and slightly raised, the pulled foot pegs, and lowered, articulated handlebar like Tommaselli type (using on the Guzzi V7 Sport of 1971 and on Laverda 1000 3L of 1972) emphasize the Follet aggressive charge. 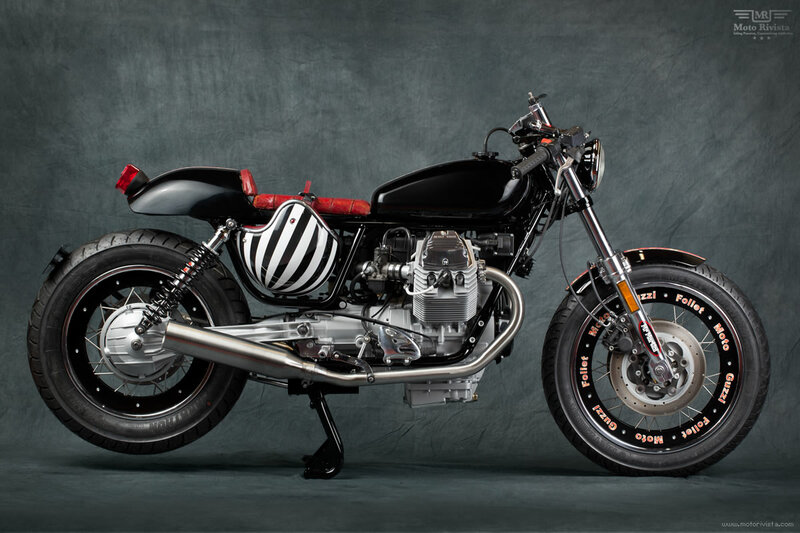 The Guzzi Follet was exposed in 2011 at the Milan motorcycle show (EICMA) and won third prize in the cafe racer competition. My personal favorite on this bike has to be the red leather seat with the well thought option for a helmet or handbag! Special thanks to Mr Martini for allowing us feature his Moto Guzzi Nevada 750 aka Follet, to find out more about Mr Martini’s builds please visit his website.